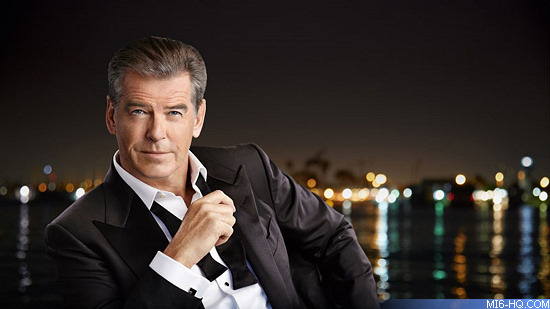 Since 2010, Pierce Brosnan has been the 'face' of SPAR Premium brands for the SPAR chain of grocery stores in Austria. Each year, Brosnan dons a classic tuxedo and shoots a new TV commercial spot, usually playing off some James Bond 'spy' style, but each time the prize is usually a frozen seafood treat and dinner with a woman young enough to be his daughter. The new advert for the 2018 holiday season sees Brosnan enter a luxury house and confront someone who appears to be an intruder. Last year, the advert was set aboard a mega yacht and filmed just a few miles down the road from Brosnan's house in Marina del Rey in Los Angeles. Dr Gerhard Fritsch, marketing head at SPAR Austria, said: "We are delighted that Pierce has decided to continue his partnership with us. He is one of a few true gentlemen actors and embodies style, class and luxury, the same values that SPAR Premium stands for. The Hollywood star is a fan of SPAR Premium and is 100% convinced of its quality."